I recently had the opportunity to ask Joanne Bischof a few questions about My Hope is Found, Book 3 in The Cadence of Grace series. This is a MUST READ series and I cannot recommend it enough! If you missed my review of My Hope is Found, simply click the link below. I am delighted to share Joanne’s interview today! Joanne, each of your book titles is so profound and a wonderful descriptor of each book. How did you choose your titles? Thank you! I really wanted each of the titles to have a lyrical quality. With music being one of the elements that runs throughout the series, it just felt like the right fit. Also, was the desire to have each title really represent the emotion of each individual story. Sort of what the characters might say they were feeling in each book. And in a way that progresses through those ups and downs, finally ending with My Hope is Found. I was so happy when we’d settled on that title and it was going to be the one to represent this final piece of the story. I have heard authors say they were surprised by a character/scene/or other element in their writing? Did you encounter any surprises while you were writing My Hope is Found? I really did experience many surprises. I think the one that most often happens, is when a character does or says something that I never anticipated. I don’t typically give a lot of thought or attention to identifying a character’s full personality when I first begin a novel. Actually, I find that I don’t know them all that well. It was an intimidating part of the process, but one that I most enjoy with characterization—letting all the aspects that make that person who they are, who they were, and who they will one day become, define all they do on the page. It’s very freeing and very fun. Almost like going on an adventure myself! My Hope is Found is a stunning conclusion to The Cadence of Grace series. When you began writing, did you know how the series would ultimately end? Thank you so much! I confess, that I did always know that Lonnie and Gideon would end up together. But that doesn’t mean the journey to that point wasn’t loaded with challenges. One of the greatest challenges there was with Toby McKee, the Scottish reverend who has the ability to completely win Lonnie’s heart in the third book. He’s such a good man, and such a worthy hero, that as the story was unfolding, it became more and more difficult to approach that point in the story when Lonnie would have to choose between two good and worthy men. It was at that point, that I didn’t so much get doubts as to how it would end, but I got butterflies. Would readers be satisfied? So far the response has been wonderful, but let’s just say that I get a lot of emails on the subject of a particular Scottish reverend along with requests for just one more book. It’s been amazing to see how many readers really connected with this cast. Did you find yourself eager to write this conclusion or were you reluctant to let these characters go? Most definitely reluctant! It was truly so bittersweet. Spending three whole books with the same characters really was quite an experience. Looking back, this series was about 7 years of active work and writing, the last of those years being during the publishing process. So saying goodbye to this cast of characters I had spent so much time with and knew so well, was definitely bittersweet when My Hope is Found went to print. But the joy! Knowing the characters and story would be able to one day connect with readers…it was (and is!) so exciting. As the author, who created and nurtured these characters, how did you feel when you wrote the very last word of My Hope is Found? I think I had the biggest smile. Writing those words was such a long time coming and there was such a victory there. It was sort of the final expression of how God truly can build something out of nothing and even this couple who thought they could never be happy together, would not only lose one another, but one day find a way back. Do you think you will ever revisit these characters, perhaps in another book or series? It’s something I’ve often thought about. I don’t know if I’ll be visiting them again or not, but the idea is always there for another little snippet of story or even to visit some of the other characters whose stories are a bit untold. I know you are deep into a story now and you have said the characters have already made you cry. What can you share with us about this next book? Oh yes, I don’t know that I’ve ever cried so much while writing a single book! Not because of some heart-wrenching tragedy, but because it’s a tender story and what to me feels like a powerful love story. One I can’t not tell. It’s another Appalachian romance, the first of three books sketched out, and so much of my heart is wrapped up in those pages that I often find myself wiping tears as it unfolds. It’s a project I’m really, really excited about and one that I’m (on a daily basis) having to continually give back to the Lord and trust that His plan for it will be the perfect plan. Oh, I cannot wait to get my hands on your next book! Thank you so much, Joanne, for taking the time to answer these questions and for sharing your talent with us through your amazing writing. You are such a blessing! To learn more about Joanne Bischof and her books, please visit her website at www.joannebischof.com. Gideon O’Riley has been given another chance at a life with Lonnie. But will the fight for her heart risk it all over again? After finally finding love with his sweet bride Lonnie, Gideon’s heart was torn when a woman from his past claimed to be his true and rightful wife, forcing him away from his family. God’s merciful hand saw Gideon through the heartache, and with Cassie’s blessing, he is able to return home. But his journey back through the Blue Ridge Mountains will hold a trial he never anticipated. Meanwhile, Lonnie determines to seal off her heart from Gideon, convinced he is lost to her forever. Strengthening her resolve to move on is her growing fondness for the handsome Scotsman, Toby McKee—the young reverend she has come to care for deeply. His proposal of marriage offers a bright future for her and her young son. Yearning to allow joy back into her life, Lonnie must put aside the broken pieces of her heart that still love Gideon. When he returns to find her betrothed to another, he has to place his hope in God, trusting that the One who redeemed their love once can do it again. Rarely have I found a book or books that evoked such strong emotions. However, Joanne Bischof masterfully stirred my emotions with every turn of the page. My Hope Is Found is a stunning conclusion to The Cadence of Grace series. I gave my heart completely to the compelling characters and the vivid beauty of the Appalachians in Book 1, Be Still My Soul. I wept at the heart-wrenching emotion so beautifully written in Book 2, Though My Heart Is Torn. Wanting and needing to know what was going to happen to these precious people I had come to know and love, I was eager to read My Hope Is Found. I found myself speeding up and slowing down and savoring every last word. As I finished reading the last words of this book, I exhaled the breath that I found myself holding. Sighing with great satisfaction in the fact that, despite despair and suffering, hope is found! Joanne Bischof has written an amazing series of books that will touch your heart. The spiritual thread so beautifully and eloquently woven into these books is a gift and a blessing to everyone who reads them. The Cadence of Grace series is a poignant story that you absolutely must read! Christy Award-finalist and author of Be Still My Soul, Though My Heart Is Torn, and My Hope Is Found, Joanne Bischof has a deep passion for Appalachian culture and writing stories that shine light on God’s grace and goodness. 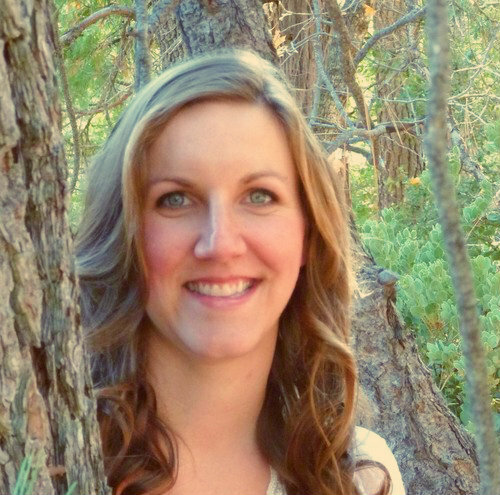 She lives in the mountains of Southern California with her husband and their three children. When she’s not weaving Appalachian romance, she’s blogging about faith, folk music, and the adventures of country living that bring her stories to life. You can visit her website at www.joannebischof.com. On Thursday, I will be sharing my recent interview with Joanne. 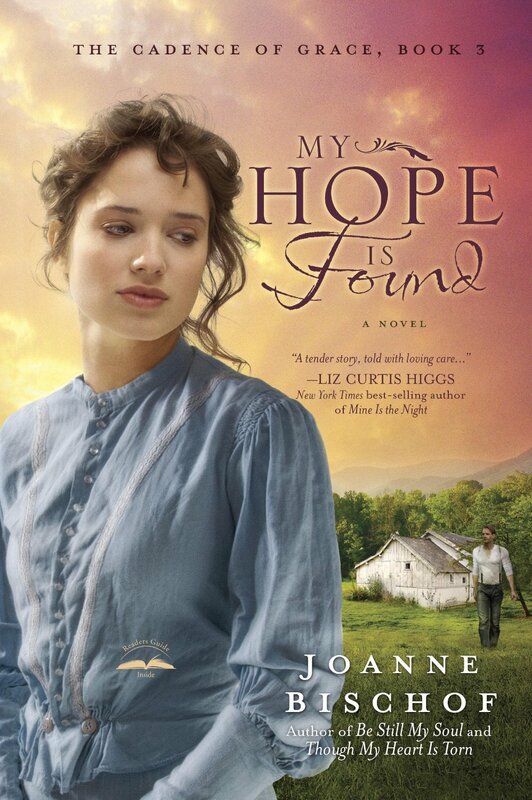 I am so excited to be discussing My Hope Is Found, as well as a bit about the book Joanne is writing now. I hope you will join us!